﻿ We here at Popular Irony have a well documented history of fighting intolerance on the internet, and we carry on that rich tradition tonight. We shall debunk a series of inflammatory urban legends about one of the under-represented minorities, Gnomes. So open your mind and be prepared to expand your understanding of these magical little people. First we will discuss some assumptions that most of us have carried since grade school. Most of us still believe that Gnomes are responsible for a majority of unwanted pregnancies among unwed teenagers. The belief is that they make their way into any random fertile teen's home by way of the doggie door, and perform an incognito impregnation that generally goes unnoticed by virtue of their miniature genitalia. This is not only untrue, but offensive. It has been proven that Gnome/human copulation yields no viable offspring, yet schoolyard rhymes keep this ridiculous falsehood alive. Another widely held misconception is regarding the religious beliefs of the modern Gnome. While they did at one time perform ritual cannibalism in weekly ceremonies, this practice was officially ceased in the late 19th century. 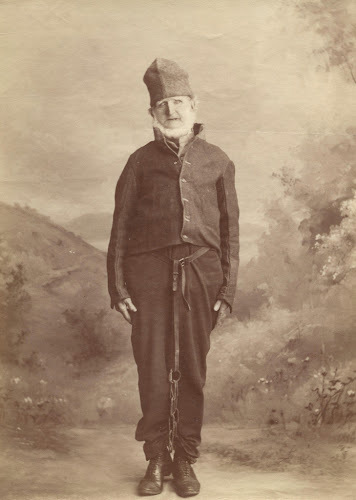 Consider this against similar activities that prevented widespread acceptance of the Mormon church in the last century, and you will see that Gnome culture has not been given a fair shake. If we can overlook the filth that used to be practiced by the LDS community to the extent that we now have TWO Mormon presidential candidates this election cycle then we should have no problems overlooking cannibalism. There has also been much speculation that Gnomes have an insatiable appetite for alcohol, and become addicted to the substance far easier than normal humans. This blatant prejudicial belief is best combated by drawing a parallel to another race that found themselves displaced by the settlers of America, the Native American. The Native Americans were forced from their homes and placed on plots of land that were completely void of natural resources, had abysmal federal funding for infrastructure and education, and descended into rampant alcoholism is startling numbers. The situation for the American Gnome is strikingly similar, but compounded by their diminutive size of 25-35 Ibs on average. 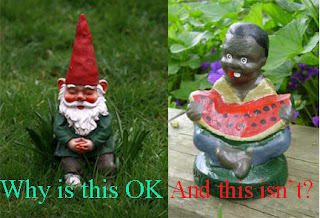 So before casting your judgements on these proud miniature people consider the magnitude of the plight of the American Gnome, and do your part to rid the world of it's final "acceptable" racist belief system. And before you proclaim yourself devoid of any Gnome bias you must ask yourself... "Would I be comfortable with a Gnome nanny taking care of my child?" If the answer is no, you are part of the problem.